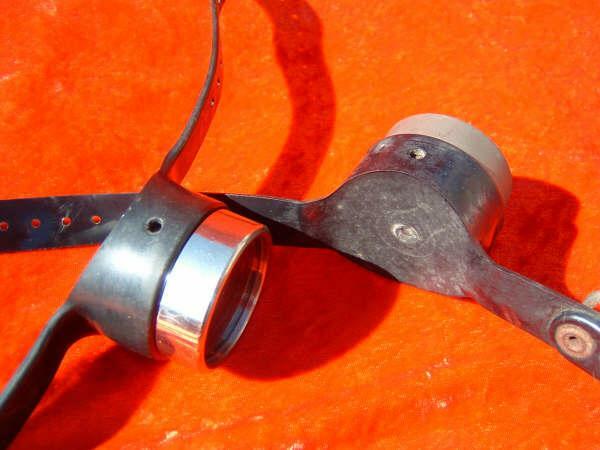 This is a perennial favorite Voit depth gauge of vintage scuba enthusiasts. I paired this one with a nearly identical unmarked gauge. The manufacture of this gauge sold them to many different companies who branded them for sale in their respective catalogs. 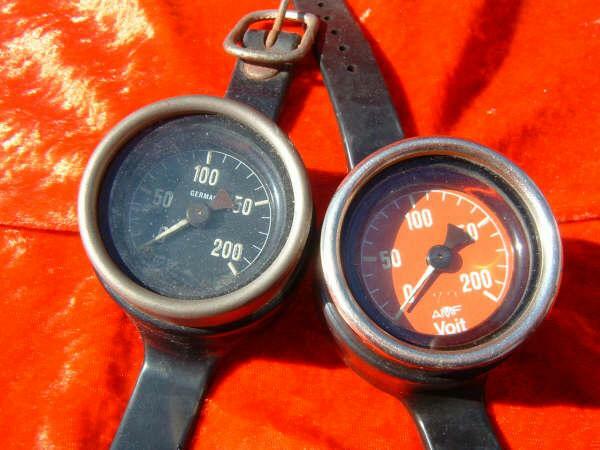 These gauges seem very often to work even today and many vintage scuba divers like them for the simplicity and durability. 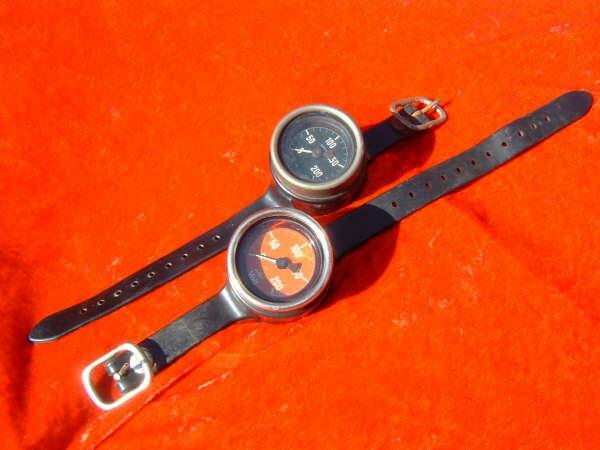 Many more vintage scuba divers do not appreciate the hard to read dial, especially on the dark faced one. It may be that those vintage scuba eyeballs are getting a little tired, but I could be wrong.